In order to understand what a high net-worth divorce is, it’s important to first understand what “high net-worth” is classified as. A high-net-worth individual is someone whose net-worth either exceeds $1 million or has an income that is over $200,000 over the last two years. A high net worth divorce is when the joint net worth of the two parties exceeds $1 million, or the joint income between the two spouses is over $300,000 over two years. To start, please know that the title of “high net worth divorce” does not come with different rules or laws, nor will the court act any differently within the threshold of the family court system and NY State family law. The term is mainly used when the spouses are relatively wealthy. Although divorce law remains the same regardless of your net-worth, the attorney you hire should be one that is accustomed to and has experience representing people who have similar socio-economic backgrounds. Not all divorce attorneys have the experience with litigating over large estates and assets, and these both make cases much more complex and complicated. Even fewer attorneys know how to handle things like overseas assets and licenses, so it is imperative that the attorney you hire can properly and efficiently represent you and your interests. Because litigation over all these assets can go on for so long, it is often advised that the spouses try to work out the separation outside of the court room. Of course, this is not always a possibility, and you will need to consult financial specialists and mediators/attorneys at some point, but it can help avoid a lengthy, and expensive, litigation process in court. 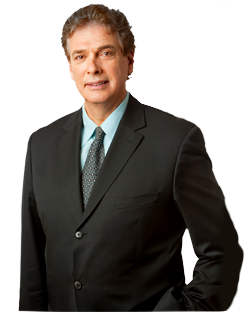 If you need a divorce attorney to handle your high net worth divorce, contact Paul E Rudder, Esq. today at 212-826-9900 or fill out our contact form here.